1. Pay attention to class scheduling and add/drop dates. Many colleges send out an email to students telling them when class scheduling will occur for their grade. However, don’t wait until the last minute. College classes fill up fast, and you don’t want to be stuck in school for an extra semester just because you missed one class. Also, colleges only allow classes to be added to a schedule or dropped up to a certain date. Don’t drop too late or add too late, because you can lose money and class information that way. 2. Make sure you meet with your advisors early. Advisors are there to help you. They have several students on their list to take care of, so make sure you’re early and make appointments as soon as possible to meet with them. Also, listen to their advice. If they tell you to take certain college classes, do it. They’ve been doing this longer than you and they know what works. 3. Have a professor you don’t like or you’re nervous about? Go to ratemyprofessors.com and search for your school. 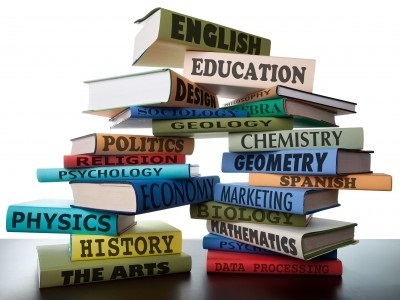 Most of the teachers will be listed, and many professors teach multiple subjects or there is one subject with multiple professors. See if there’s an alternative course or professor you can take. It doesn’t hurt to try! 4. Stuck in a course with a professor you’re not fond of? Get to know a bit about the professor first before you make any rash judgments. They are people too and don’t like failing students as much everyone thinks. Everything they do is for a reason. Talk to them after class and get to know them if you can, or make sure you pay attention and do extra work. You will make things a lot easier on yourself and them, and you might find out they actually aren’t that bad. Have any horror stories from add/drop or college classes you were less than excited about? We’d love to hear about it in the comments section below! 1.) Don’t try and write down every word your professor says! Focus on key points of information. It will save you time when studying and will save your hand from cramping. 2.) Avoid copying PowerPoint/Prezi slides word for word. Figure out the main point and write that, and only that. And if you are not sure what Prezi is, you need to find out! 3.) Use the marginal method. You know that space at the end of college-ruled notebook paper where it has a faint line? Fold that into your page. Now, only take notes in the non-folded section. Any of your questions, potential test questions or special highlighted notes you take away from the lecture should go in the folded tab, keeping your notes clean and organized. 4.) If a word or phrase is repeated, write it down! There is a reason your professor is repeating it, trust me. It will most likely show up on your test later or help you understand test materials. 5.) Ask if you’re allowed to use your laptop to take notes. People tend to type faster than they can write things down. Just make sure you turn off the Internet to avoid being tempted by social media. Unless of course you’re using one of our recommended apps to stay organized! 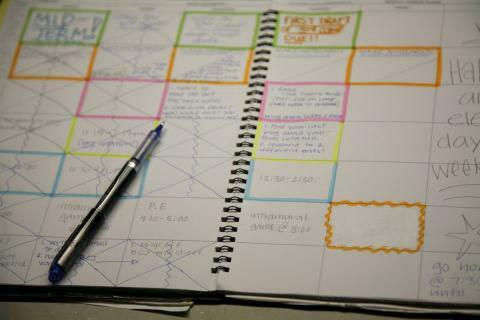 These tips are sure-fire ways to taking great notes in college. Got any others? Tell them to us in the comments section below! Any college student knows the value of a dollar of today’s economy, mainly because they are eating Ramen out of a Styrofoam dish in their dorm room. Does that sound familiar? Well, put down the flimsy plastic cutlery and bust out your student ID. Here are 5 sure-fire ways to save in college without skimping meals or going bankrupt! 1.Check with your campus’ Student Life office about local places you can get discounts. 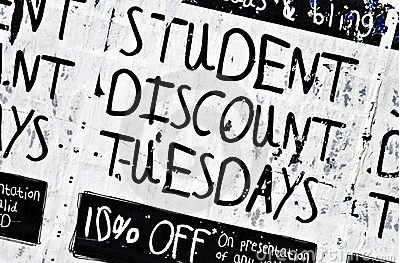 Many restaurants and clothing stores close to college campuses offer 10% or 15% off for students. You could have paid full price for a pizza or a pair of jeans you could have gotten a discount on. Comprehensive lists of chain locations can be found online (including Apple and Subway). 2. Think you’re stuck using the campus bookstore for books you need? Think again, friends. Even if you wait until the last minute, there are always ways to get discounted textbooks online. eCampus.com allows you to buy, sell and rent textbooks. A book that costs $150 off the shelf of you campus bookstore could cost $2.50 online. That’s $147.50 for food and activities. Goodbye, Ramen! 3. Don’t be impatient and rush out to buy the latest software, hardware, or technology there is out there. Did Microsoft come out with the latest edition of Windows or Office during the summer? Wait until the start of the school year or check to see if your campus IT department is open during the summer. Many campuses give students software and hardware for free (not really free, if you look at the fees for tuition), or you can go online and see what companies offer discounts or deals. Adobe offers a discount for many of their products for students, and Academic Superstore lists a lot of popular hardware and software on their website for a discounted price. 4. Buy in bulk. Taking a daily trip to the grocery store or to Walmart gets to be tiring. Head over to Sam’s Club or Costco and get all you need in bulk. Want hamburgers? Get a 50-pack that you can use for a while. Craving Capri-Sun? Get that in a box of 30. Here in a bonus: Sam’s Club offers a collegiate membership so you can save on college essentials! 5. Do you really need to have that new pair of Beats headphones or the latest Coach handbag? You will survive without it. Big brands are not a big deal. Getting an education and being able to survive on your own is. Skip buying the big name brand products and settle for the generic. Cannot live without a certain print? Check out all the crafty DIYs on Pinterest and make your own! What student discounts have you used recently? Let us know in the comments! While a how-to guide can be dull, Brown spices her book with drawings and real life experiences woven into great tips students (and even people who are already adults) can use in their lifetimes. The subjects range from learning how to cook and what to keep stocked up on, to love and how to handle relationships. The beginning of the book starts off with the smaller things, such as getting one’s mind right and putting things into a realistic perspective to achieve one’s goals. As the book progresses, the topics get more involved and complicated, just as situations in life. Moving out is a big step, and Brown includes plenty of tips to deal with domestic life away from one’s family. In later chapters, she discusses starting relationships and connecting with your family, things people living away from home often forget. Brown does a fantastic job at making the content easy to understand, while also giving it a humorous curve at times, providing an excellent flow and an interesting read for whomever picks up a copy. Bored this summer? Getting ready to move? Curious about the proper etiquette when denying an RSVP to a party? 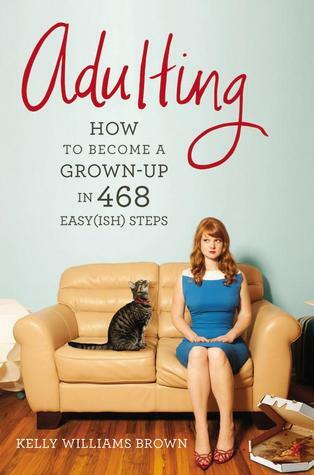 Pick up a copy Brown’s book or visit the Adulting Blog and you’ll be growing up in no time!